When most people think of single malt, they imagine a glass of Scotch. Yet hundreds of distillers in the US are working hard to define their own style – in liquid and law – and it’s distinctly different from Scotch, and Bourbon. Jake Emen reports. Over two and a half years ago, a group of American distillers met at the behest of Matt Hofmann and Westland distillery – the first meeting of the American Single Malt Commission. Its purpose was to hash out a set of agreed upon standards for the category of single malt whiskey made in the United States, and while doing so, to begin spreading word of the nascent category and push towards an official legal classification via the TTB (Alcohol and Tobacco Tax and Trade Bureau), an agency under the US Department of the Treasury which handles matters such as the labelling of spirits bottles. This July the Commission accepted its 100th distiller member – clearly the number of single malt distilleries in the US, and those who have joined up with the Commission, has skyrocketed. The standards have now long been in place, though only informally agreed upon by its voluntary membership as the journey towards official classification has been moving at the glacially inefficient speed of bureaucracy. But with more whisky fans around the world beginning to pay attention to American single malt, how close is the industry to an official definition? The Commission proposes that the category of ‘American single malt whiskey’ be defined as whiskey made in the US at a single distillery, with a 100% malted barley mashbill, aged in new or used wooden barrels, distilled at a maximum of 160 proof (80% abv) from either pot or column distillation, and barrelled at a maximum 125 proof (62.5% abv). The specifics of distillation and barrel entry proof conform to the American standards for categories such as Bourbon or rye, whereas the allowance for new or used casks, and woods beyond oak, leave greater flexibility than other American categories, and even Scotch. The official petition has now been filed and is available online for public viewing. ‘The TTB has recently sent out a list of things that they’re going to be reviewing by the end of the year,’ Hofmann says. ‘And we just fall into one very small subcategory of that, which is labelling standards. I want to say that I think they are going to review this by the end of the year, then the comment period would start next year.’ The three-month public commenting period would allow for other voices to be heard, before a final ruling on whether to accept or deny the proposed category. Things seem to be moving along then – though it must be noted that the original hope was for this same commenting period to be opened before the end of 2016. You may want to take the timeline with a grain of salt, or even malted barley, as the case may be. Putting a definition in place sets an agreed upon standard, and also prevents backlash in the form of reactionary regulatory efforts. ‘The TTB is really quick to shut down “pseudo” categories,’ Hofmann explains, highlighting barrel-aged gin as an example. With producers adapting the category, but no regulations in place, the TTB banned distilleries from being able to use that phrasing. Producers who are part of the Commission emphasise that the standards have been left with enough creative wiggle room to facilitate innovation and experimentation, but nevertheless, a standard of any kind inherently sets some sort of barrier. The American Single Malt Commission may not have unanimous backing, but with 100 distilleries and counting amid its membership, it seems to represent as close to an industry-wide consensus as possible. And while there could still be an eternal waiting process for official results via the TTB, producers haven't been idly sitting by, either. There are also those who think that even with all of the groundwork being done, these best-laid plans won’t come to fruition from a legal standpoint. ‘I am skeptical that we will ever get the CFR [Code of Federal Regulations] changed to add “American single malt whiskey”, but we are creating the category nevertheless, and the category is driving innovation in whiskey,’ says Christian Krogstad, founder and master distiller of Oregon’s House Spirits distillery, producer of Westward Whiskey. Other producers are more optimistic about the official standards being set. 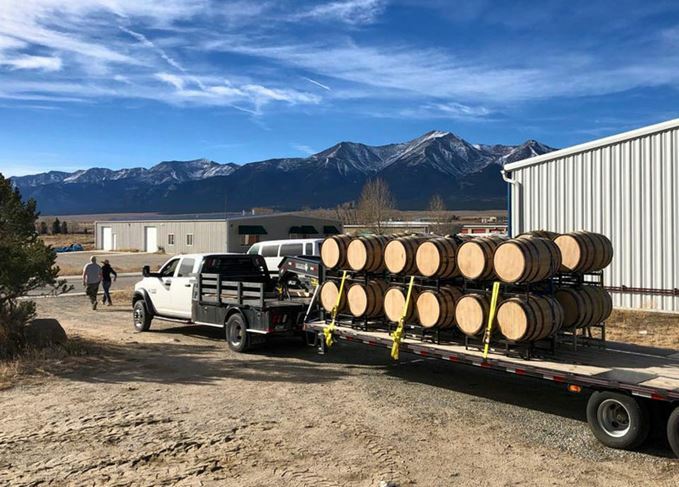 ‘I am confident we will achieve our goal of creating an official “American single malt” category, and that it will be one of the fastest growing and most innovative categories of American whiskey, enjoyed by consumers both domestically and abroad,’ Moore says. What most producers of American single malt whiskey do generally agree upon though is that the consumer is smarter and more well-informed than ever, and that the quality and diversity of American single malt whiskeys have been improving and will continue to do so. ‘Whether the TTB recognises the style or not, its presence will be substantial enough to garner placement alongside other more commonly recognised styles of American whiskey,’ Eckstein says. Brands have a duty to teach the whole truth, not just their own version, says Becky Paskin.